A home design that delivers everything you need and more. Matakana provides everything you would need to suit your lifestyle on a clever and minimal footprint. Sitting at only 192 square metres, this design offers four bedrooms, including the most amazing walk in robe and ensuite you would find in a home of such a size. You’ll also be able to enjoy the theatre room, gourmet kitchen, walk in pantry, private study nook, and open plan living/dining with a relaxing outdoor alfresco area leading off into the yard. This great design provides impressive separation between the bedrooms and main living areas allowing you privacy when needed. This home is suited to sites where space is a premium and has modern living covered. 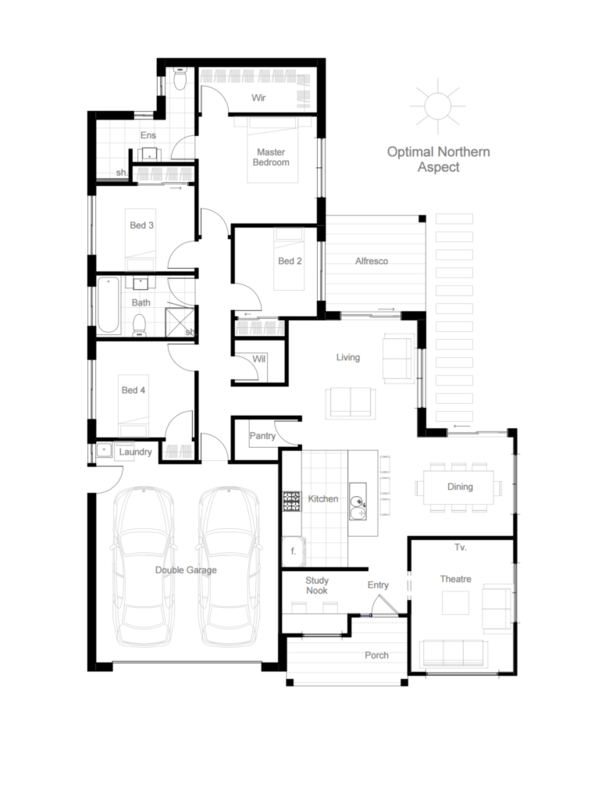 The modular layout of this design provides superior energy efficiency guaranteeing you savings on your energy costs.